I'm getting ready to try a build in the View 37 that has the big curved acrylic side panel. I am air cooling with a a H7 Lumi plus 2x200mm Riing Plus fans; 3x140mm Riing Plus fans; and 3x120mm Riing Plus fans. I think my only real option is to put the 2 200mm fans in the front and then use the 140s on the right side of the case with 2x120s on the bottom and 1x120 at the rear. My dilemma is that using the right side 140s as intake exposes the ugly backside of the fan to the interior of the case. What happens or how bad would it be to turn those so the better looking side is facing the interior, hence the orientation would mean using them as an exhaust there? I suppose in that placement they'd just be sucking out the air brought in by the 200s in the front and the 120s on the bottom, right? It seems like a lot of fans. Are these fans in addition to the ones that come with the CPU cooler? 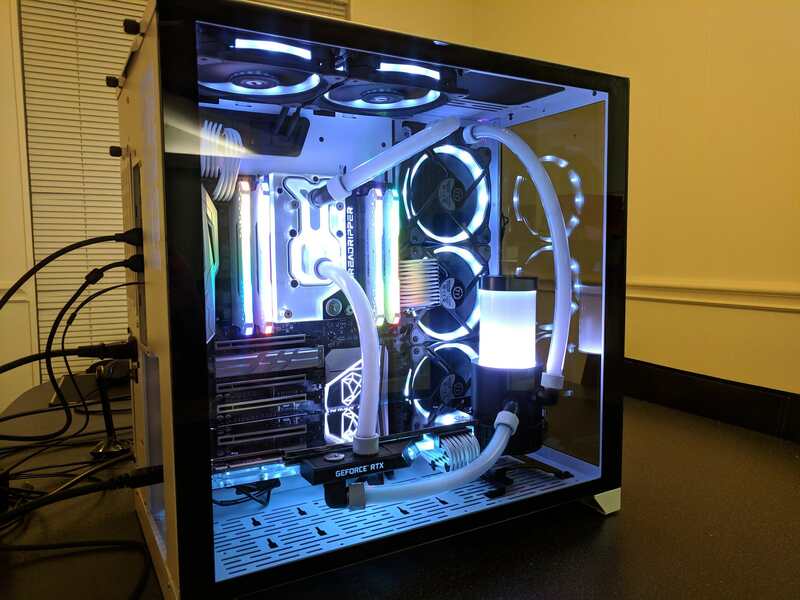 Are you trying to fill all the fans spots specifically for RGB looks? CPU - 4690k; GPU - XFX RX 580 8GB GTR; PSU - EVGA 650w. The case with 3x140 Riing Plus and I added 2x200 Riing Plus and 3x120 Riing Plus and that was mainly to ensure air movement in the case but also for the lights. I've got it all put together now with the front, side and bottom fans as intake with a 120 at the rear as an exhaust with all the pci brackets out to promote passive exhaust. I am afraid of dead zones with air movement given that the side 140s are likely pushing the air brought in by the 200mm fans right into the side window, though that shouldn't be too much of a problem. Maybe I need some incense like things to draft some smoke into the case to see where air is going. Personally, I think it is overkill. Just take some temp readings while stress testing to see that temperatures are within reason. I should avoid the 200mm fans in there. Gamernexus did a review on that case and the 200mm fans performed poorly on that case.